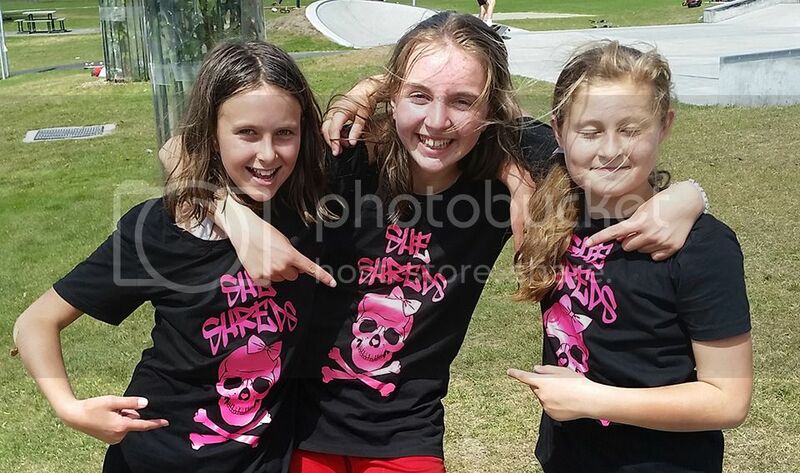 She Shreds is an epic ladies skateboarding crew hailing from Tasmania, in this interview GSA speaks to founder Jared Andrew about some of the barriers to participation for women in skateboarding and how they can be overcome. Give us a bit of background about yourself, do you skate ? how long have you been skating? how did you get into skateboarding? I grew up in Penrith (western suburbs of Sydney) I’m an ex infantry soldier and moved down to Tassie after i got out of the army. 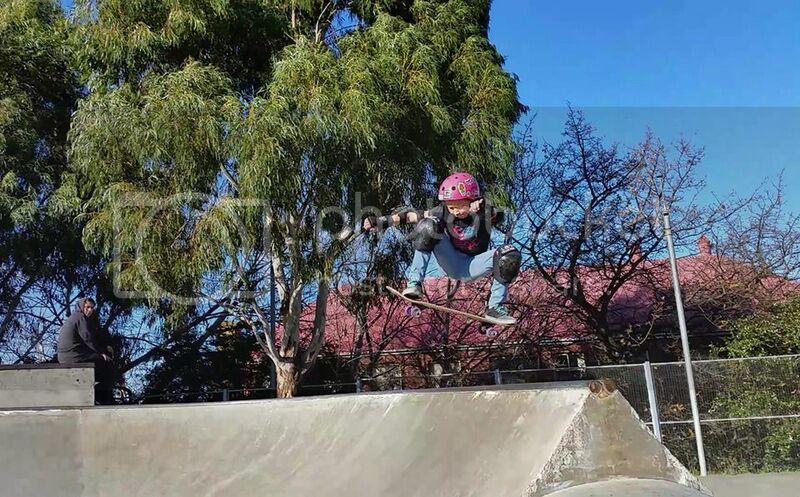 I used to skate as a kid, just bombing hills and hitting the streets, then about 2 & 1/2 years ago my daughters Chloe and Bridget started skateboarding so i started to roll with them. What was the motivation behind starting “She-Shreds Tasmania” ? 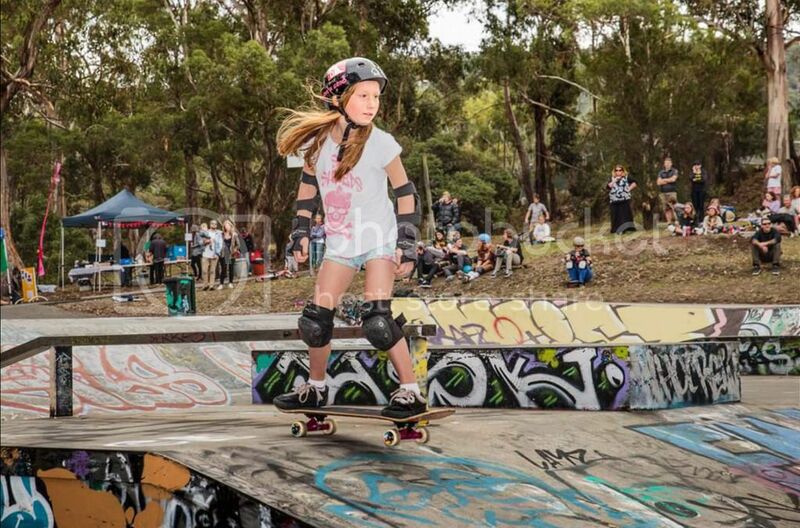 After my girls had been skating for around 14 months they said they wished there was other girls they could skate with, so we decided to start a girls crew and then She Shreds Tasmania was born. You’ve had such an epic turn out and the crew appears to be growing continuously, its rare to see so many girls skateboarding in the same place, what do you attribute the growth of the group to? I think the crews success comes down to giving girls/ladies another option apart from the usual female sports/activities, giving them a non threatening environment to learn and be apart of the skateboarding community and they are well supported by their parents and myself which is super important, also the awesome support from our sponsors Jimmy’s Skate and Street Shop Hobart Tasmania and Lanbrohini! Many people argue that female specific groups within skateboarding further perpetuate the gender divide, what do you think about this viewpoint ? I believe if you try and segregate the girls from the rest of the skate community then yes you are creating a divide, however from our crews viewpoint, they are out there skating not only with the crew but also with the boys and we have a healthy balance going on down here and mutual respect for one another. What do you think are the top 3 three barriers to participation for women in skateboarding? As far as barriers go, i guess intimidation is a big one and also lack of support, self belief and the fact women’s sport isn’t taken as serious as men’s. I think the more we educate our girls that regardless of gender, you can get out in the world and achieve what you like, will go along way to lift those barriers. Do you think its valuable to create female focused opportunities for women in skateboarding? If so why? I definitely think it’s beneficial to create opportunities specifically for female skateboarders, the Daughters of Doom comp for example is massive for the girl shredders and i personally believe we need more of it. Yet on the other hand, the more girls that really go hard and not only compete but kick arse against the lads, the better it will be for female skateboarding in general. What kind of response to the group have you had from the wider skateboarding community? We’ve had nothing but positive feedback about the crew, everyone is frothing over it including the Lord Mayor of Hobart! What can we expect to see for She-Shreds Tassie in the future? We will become incorporated so we can get financial assistance through grants and fundraising to help with providing all our equipment so any girl/lady can rock up with nothing and we can provide everything. We would also like to hold an all girl comp down here as well. The possibilities are endless! When do you guys meet and how can people get involved? We meet up 3 times a week for around 2hrs, usually on Tuesdays, Thursdays and Sundays. We have a Facebook page, She Shreds Tasmania, which is a closed group but if you inbox me, I will add you and you can keep up to date with everything the crew is doing, also we’re on instagram, @_she_shreds_tasmania_crew, so come follow us.